ANKLE/ FLOOR LENGTH in STANDARD Fullness (dress on left in photo) is what is purchased in this listing. *Fully Lined, no additional slip is needed! 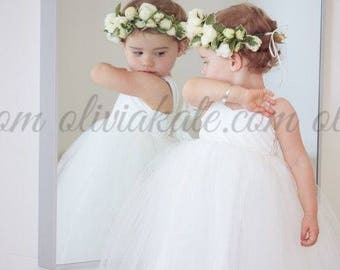 Features a lovely cotton Sweetheart Bodice, soft tulle and lined skirt. Fully lined for comfort, tulle does not touch skin at all. 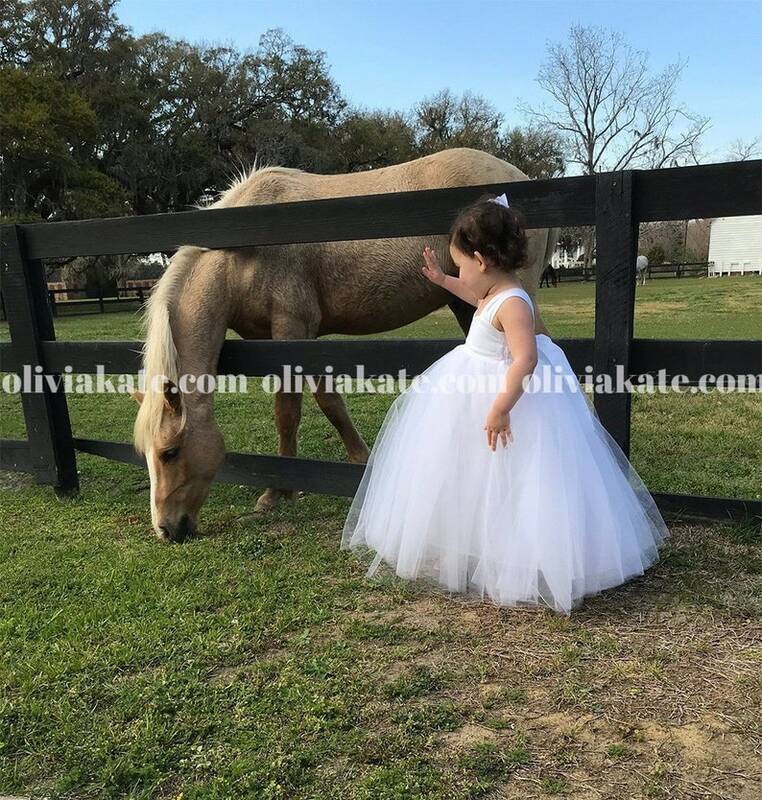 All photos/images © Olivia Kate Couture, Inc. 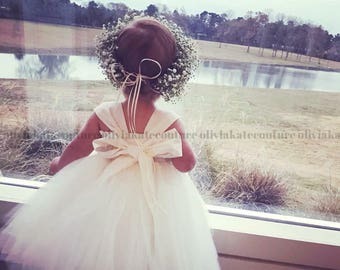 This dress is absolutely perfect!! The shoulders are adjustable by re-tying the bow in the back, and the quality is fabulous. Not only is the dress perfect, I couldn't be more pleased with the customer service I got from the shop owner. We were able to work together on my tight timeline and within our budget. I'd order again for sure!